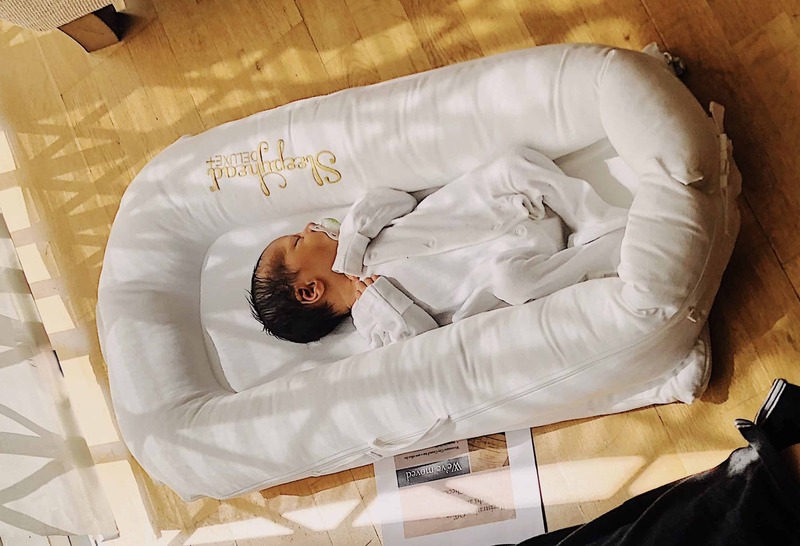 As I sit here writing this post, it has dawned on me that I am 40 weeks and 1 day pregnant, and there is no sign of this child showing up anytime soon. Sure, I could have been a little more active during this pregnancy; exercise, swimming, walking, yoga, the works but no, I chose to eat to my heart’s content instead – woops! I can’t help it though – I’ve been eating such great food in the last two months, I think the little guy has become way too cozy in there. 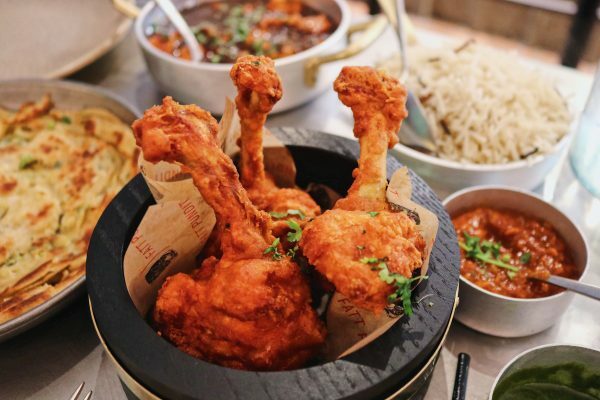 One such instance of good food would be of that from Ramo Ramen. 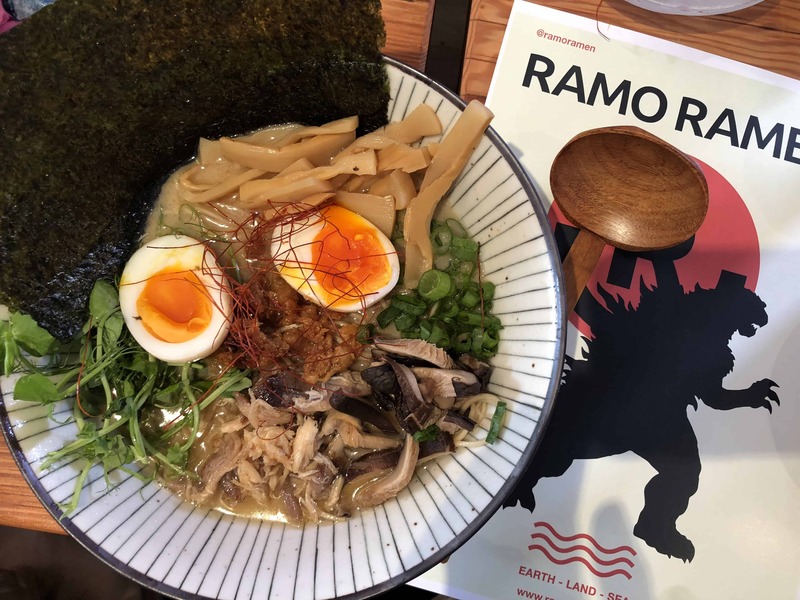 Ramo Ramen is one of the new halal kids on the block. 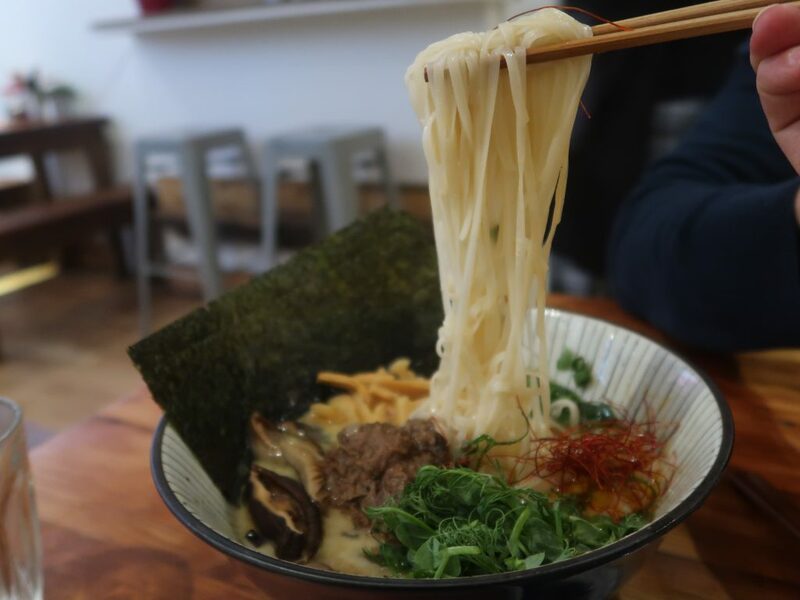 Taking inspiration from Japanese ramen joints as well as honing in on their own culture, the owners behind Mamasons/Bintang/Guanabana have now brought us a new Filipino-Japanese ramen joint. 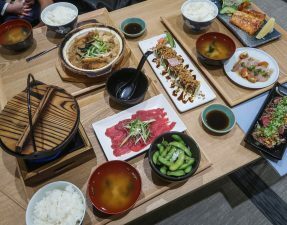 The menu plays on both of these cultures and features dishes such as karaage chicken, japanese fried chicken but made using tomoyansi (a filipino soy sauce), or the chicken sopas, ramen using adobo chicken. 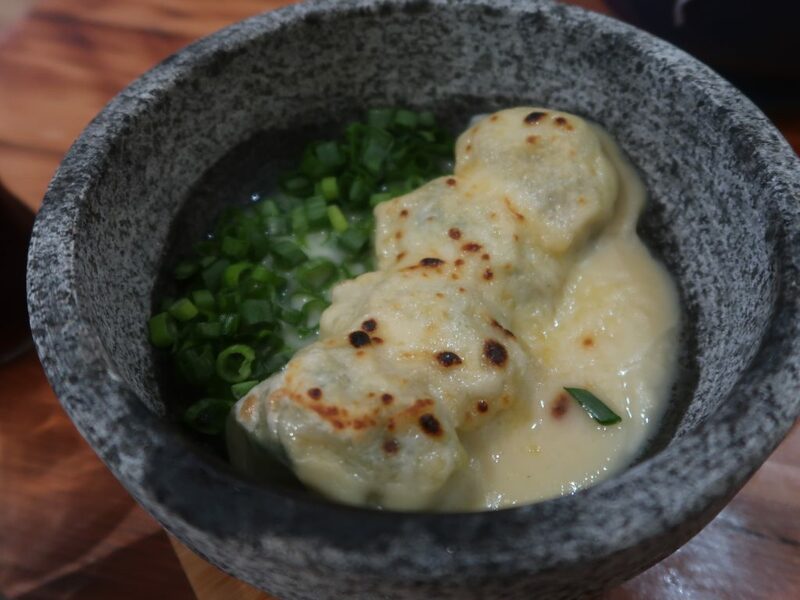 Gyozas stuffed with shrimp and coriander, and finished off with bechamel and melted cheeeeese. Clearly, not everyone’s cups of tea but I tucked in, gyoza after gyoza, until the bowl was scraped clean! 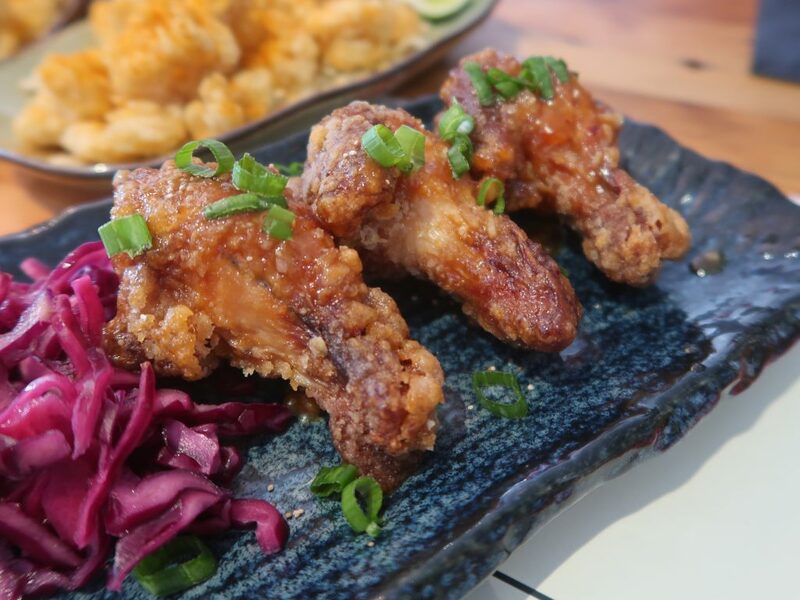 Chicken wings that had been deep-fried and tossed in a sweet miso maple sauce. There was a nice sweet undertone from the maple syrup but it missed that kick that I thought the scotch bonnet would give. 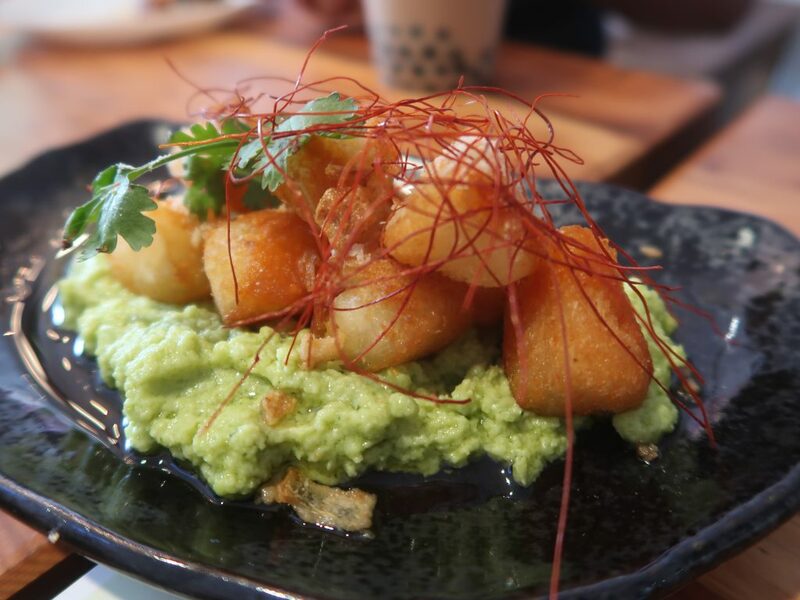 Crispy cubes of fried cassava served atop a mound of pureed edamame hummus and shavings of parmesan. 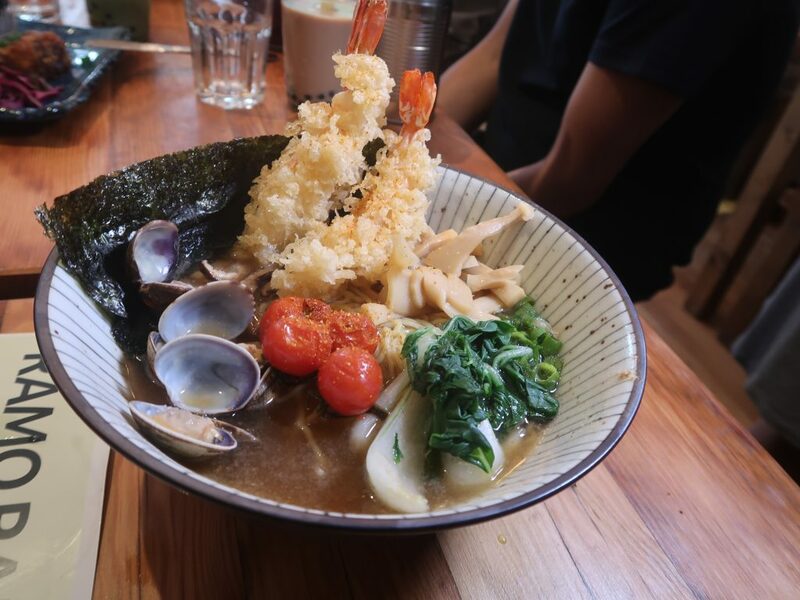 A favourite of mine from Bintang, I was happy to see this brought over to Ramo Ramen! Chicken bone broth filled with noodles and shredded chicken, and topped off with crispy chicken scratchings (aka skin). 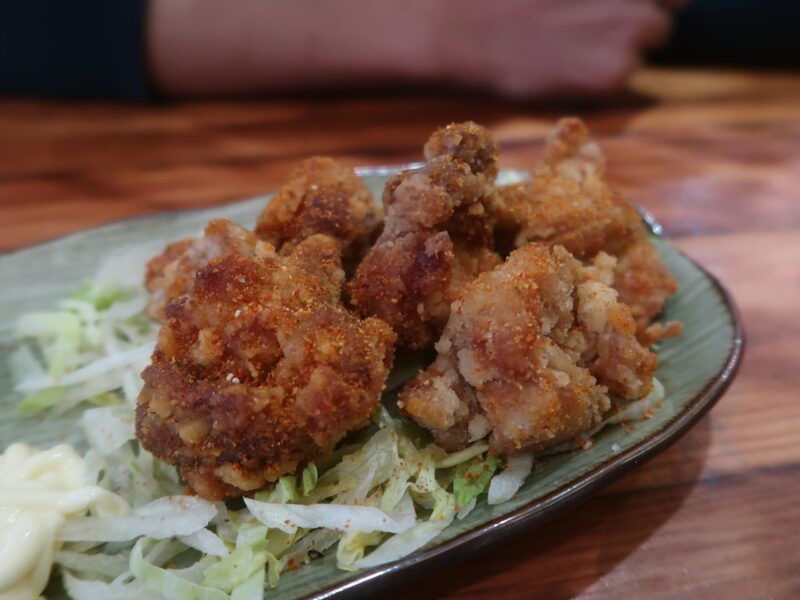 Whilst the base was good, I found the chicken to be quite dry and the fried chicken skin was quite oily. They took on my feedback instantly and have now changed things up so lets see on my next visit! 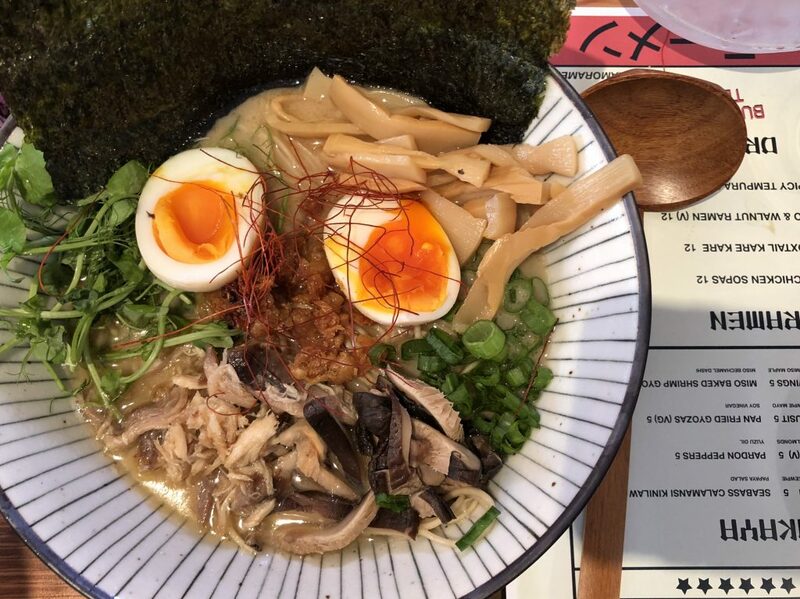 My favourite dish out of their entire menu and the ramen you MUST order. An incredibly creamy broth made using peanuts and the marrow from slow-cooked oxtail bones, and topped with oxtail meat, noodles, and all the trimmings. The soup itself was rich and had a fantastic meaty flavour that was released from the bones – very moreish. 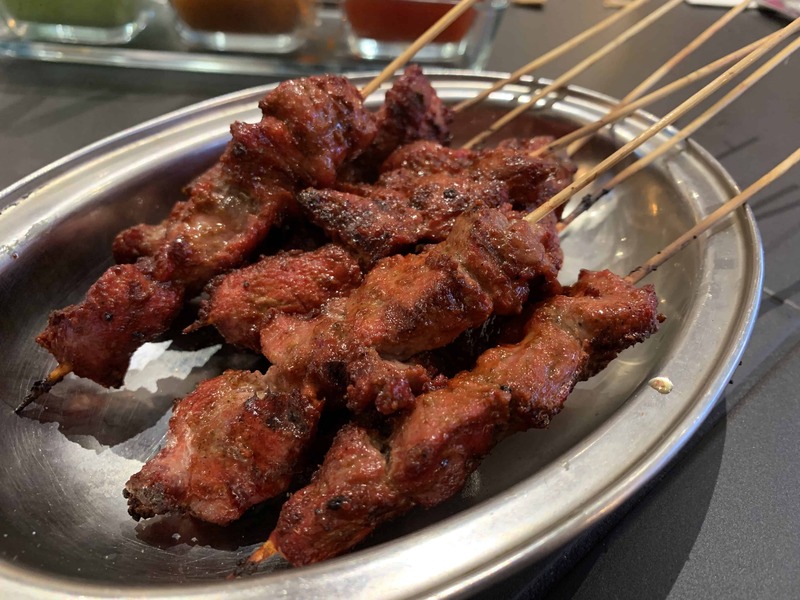 The oxtail meat had been shredded and possessed a mouth-melting texture, and don’t get me started on those gooey runny eggs. 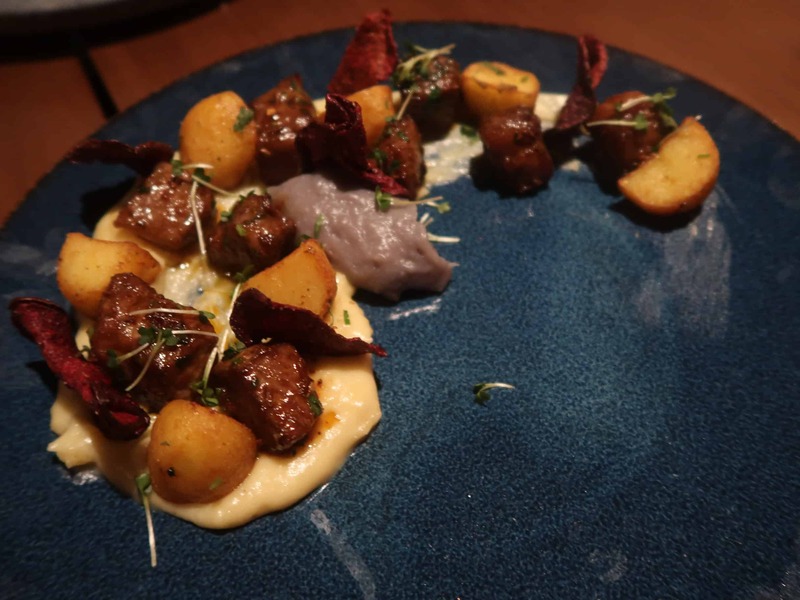 Unfortunately, I didn’t get to try this dish but it looked good! 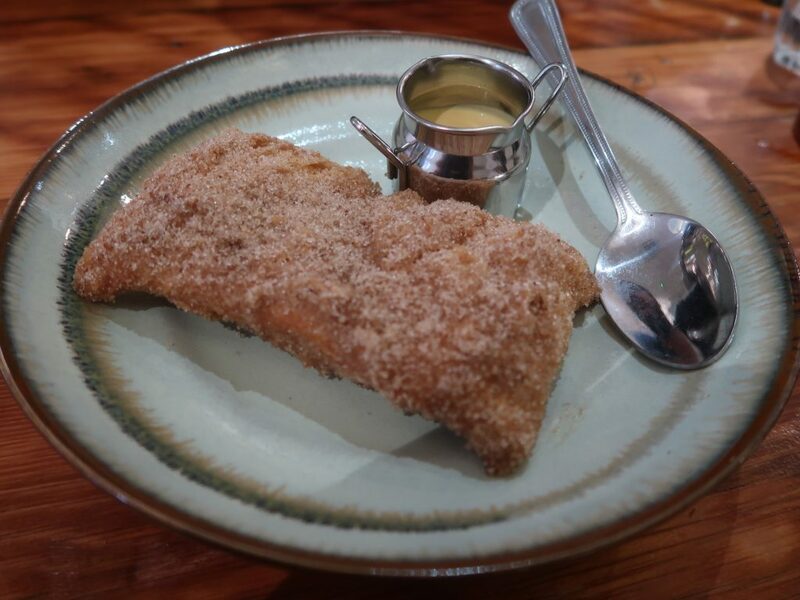 A crispy, flaky pie coated in cinnamon sugar and stuffed with sweet, sweet mango chunks and served alongside a velvety mango cream to pour all over. I have to put it out there that I’m more of a pie to filling person, so I straight away wanted more of the buttery pastry with my mango chunks, but overall a very good, comforting dessert. 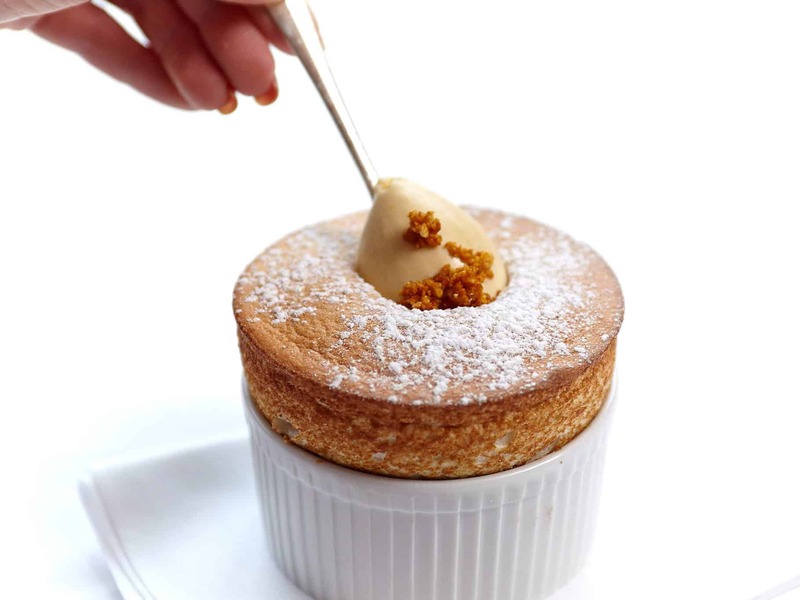 The total bill would have amounted to £59 for two, not including drinks and service, so approximately £30 each. 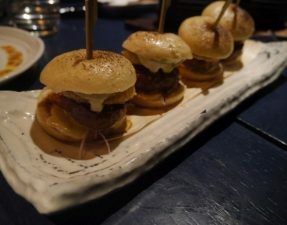 It may seem a little steep for somewhere so casual, but the above meal is not a reflection of the real deal as I was invited to dine here with a group. Sure, they have some small teething issues to fix like the chicken sopas or the bubble tea, but they gladly took on the feedback and have been quick to fix any problems, big or small. 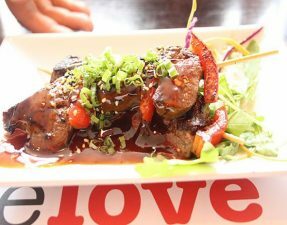 This place is perfect for a casual date night or even catching up with some friends. For Ramo Ramen’s website, please click here.